Probiotics are live bacteria that are extremely healthy for keeping our gastrointestinal tracts clean and optimal. If you haven’t heard, or just don’t know too much, about probiotics, check out this Wiki article to familiarzie yourselves with these friendly bacteria. Probiotics are live bacteria that may confer a health benefit on the host. But if probiotics are bacteria, aren’t bacteria supposed to affect humans negatively? Wrong! Probiotics happen to be live bacteria which conduct a series of beneficial roles within the gastrointestinal tract. Let’s talk about our brethren across the Atlantic, the Northern Europeans. Northern Europeans traditionally have diets that are high in fermented foods, such as yogurt, which are high in probiotics. And guess what? Their life spans tend to be higher than say, the USA, which really hasn’t started to see the benefits of probiotics until recently. Enthusiasm for such foods has lagged in the United States, but interest in probiotic supplements is on the rise. Some digestive disease specialists are recommending them for disorders that frustrate conventional medicine, such as irritable bowel syndrome. Since the mid-1990s, clinical studies have established that probiotic therapy can help treat several gastrointestinal ills, delay the development of allergies in children, and treat and prevent vaginal and urinary infections in women. Wow! Sounds great, yes? Hell yes! So How Do We Take Probiotics? The short answer here is to eat yogurt, and other fermented products, such as Kefir (definitely an acquired taste). Fermented food products are high in various probiotics, and they positively influence the 100-something trillion intestinal flora that we already have inside our body. Yea, you read that right. 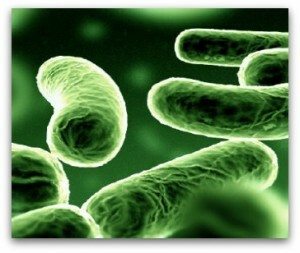 The human body’s digestive system has THAT many live bacteria in your gut! And believe us, they work in our favor. An estimated 100 trillion microorganisms representing more than 500 different species inhabit every normal, healthy bowel. These microorganisms (or microflora) generally don’t make us sick; most are helpful. Gut-dwelling bacteria keep pathogens (harmful microorganisms) in check, aid digestion and nutrient absorption, and contribute to immune function. There’s also probiotic supplements that are available to us. Various supplements have different counts of live bacteria, and different species of said bacteria. The bacteria count in these supplements are upwards of 8 billion! We at Gone Liftin’ like this probiotic formula from the NOW brand. No, NOW did not pay us to list this product, nor are we affiliated with the company, we just think this particular product is awesome! What Else Do these Feisty Bacteria Do? Based on Harvard Medical School’s research, probiotics may also help people suffering from Crohn’s Disease. Well that is just fantastic, as anyone suffering from Crohn’s needs to monitor closely their intestinal flora, to keep the inflammation to a minimum. Probiotic therapy may also help people with Crohn’s disease and irritable bowel syndrome. Clinical trial results are mixed, but several small studies suggest that certain probiotics may help maintain remission of ulcerative colitis and prevent relapse of Crohn’s disease and the recurrence of pouchitis (a complication of surgery to treat ulcerative colitis). Probiotics may be considered especially beneficial to women. Certain studies suggest probiotic supplementation may aid in urogenital health. Probiotics are good. Probiotics are great! If you are looking for intestinal health, along with other numerous health benefits, better start swallowing some live bacteria [insert perverted joke here] But anyways, Go over to this article and read up on some more benefits of our friends- live probiotic bacteria. You won’t regret it!